We’ve come up with a remarkably accurate sizing algorithm to create your Ratio Blueprint, a custom pattern unique to you. To nail down your Blueprint, just take our Ratio Sizing questionnaire. 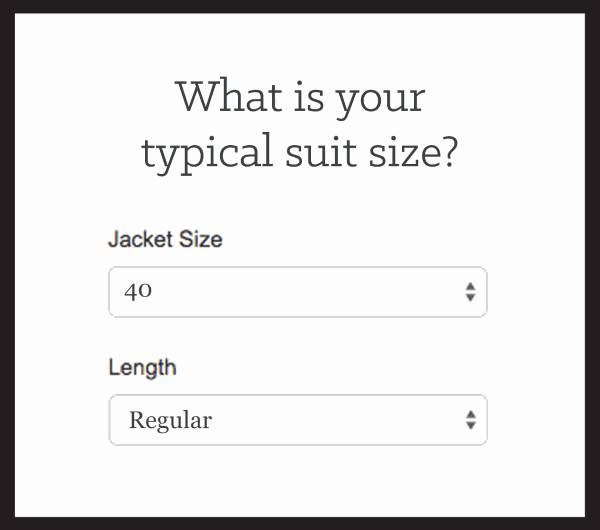 It asks a series of questions whose answers you probably already know, from height and weight, to T-shirt and suit sizes. It's a total of eight questions and takes about a minute. If you don’t know an answer, just skip it. We process your responses through an algorithm we've honed with statistical rigor through thousands of fittings. The result is a remakarably accurate understanding of your measurements and preferences. Our Ratio Sizing algorithm creates a one-of-a-kind Blueprint, a custom pattern comprising the exact specifications of your garment that includes everything from the size of the collar to the width of the forearm. 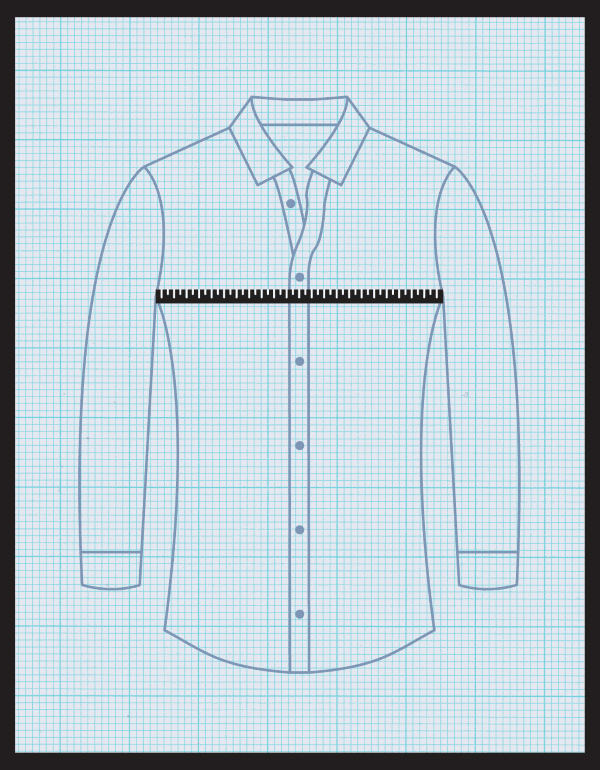 When you place an order, the shirt is cut exactly from your Blueprint on our highly advanced digital cutting machine. The process is precise and consistent, ensuring a perfect fit every time. With Blueprints, changes can be made with ease. Want to taper the waist of your shirt a little more? Simply adjust the waist specification on your Blueprint and your next order will be made to those revised specs. If it doesn't fit perfectly, we'll alter or remake your first shirt for free. Our #1 goal as a company is getting you in a perfect fit, and we’ll do whatever it takes to make it happen. The vast majority of our customers accomplish that on their first try using Ratio Sizing, but a small portion of our customers will require alterations. We’ve seen just about every fit issue in the book, and our knowledgeable customer service staff will guide you through the process and ensure you receive a perfect fit. Body measurements are helpful, but they only tell part of the story. Two people with the same measurements can have vastly different fit preferences. Our Ratio Sizing questionnaire captures much of the same information, but also gets a better total understanding of your build and fit preferences. Taking and interpreting measurements takes years of practice and knowledge as well. While we always appreciate the help of roommates/spouses/etc., the simple truth is that amateur measurements don’t always result in a great fit. Do you offer other sizing methods? 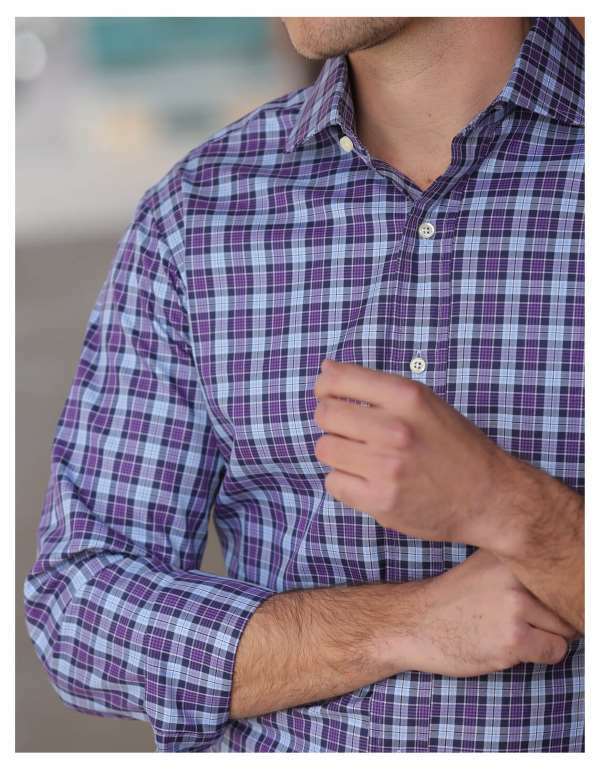 Can I copy the measurements from another shirt? Our Ratio Sizing survey results in the best fit for most customers, but if you have measurements from a trusted tailor or would like to copy the measurements of an existing shirt , just email us or leave us a note in Special Instructions during checkout. We’ll usually want to ask a few follow-up questions, but we’re happy to work with whatever you provide us. Can I come in for a fitting instead? Definitely! If you’re in the Denver area, just schedule an appointment at our showroom and we’ll take care of the rest.